2013 is winding down, and 2014 is on the horizon and all I can say is, "WoW!" It's been a year of many firsts. This blog, My Facebook page. Streaking (twice!). Trail racing (also twice). Vertical racing. Longest mileage e.v.e.r. 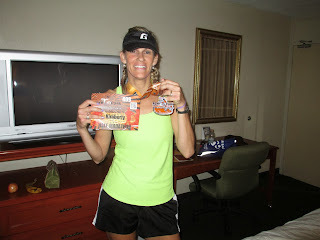 Oh, and let's not forget....my first Marathon! 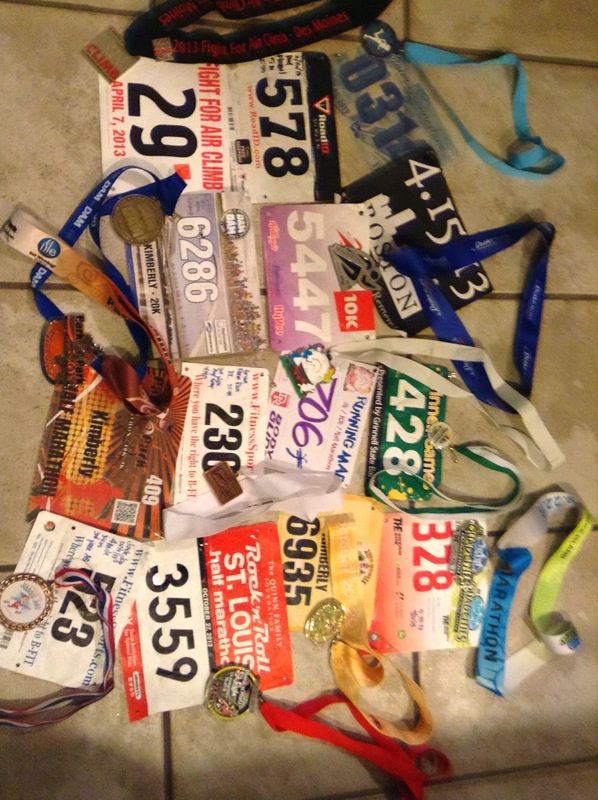 I was able to complete 13 events in 2013 (11 official scheduled events, 2 virtual events). 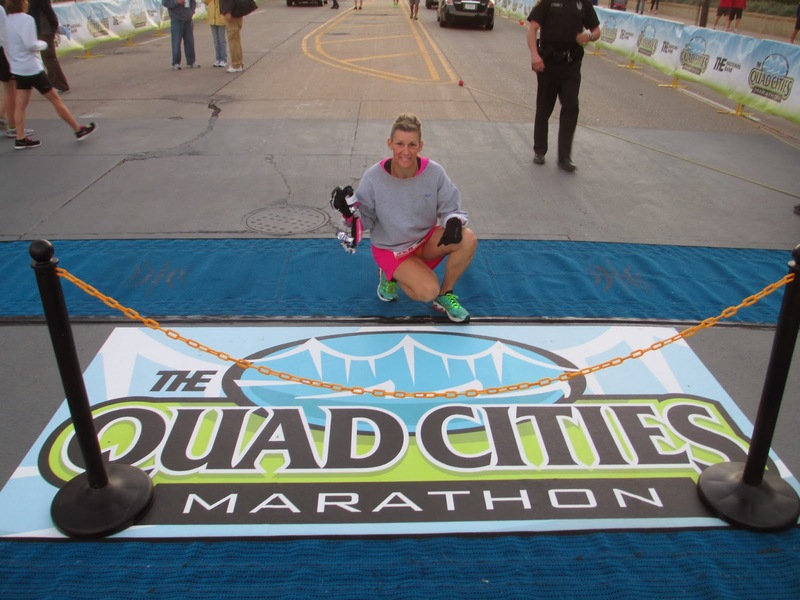 My endurance persevered, and got me through 3 months of training to get me to the finish line of the Quad Cities Marathon. I ran my 6th Dam-to-Dam 20K (with dreadful blisters but was able to push through and finish under 2 hours). 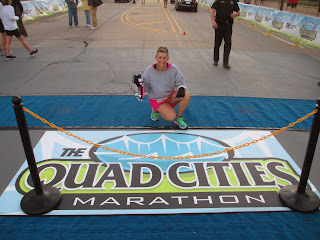 I also ran 3 half marathons (along with the Quad Cities marathon) in the span of seven weeks, and lived to tell about it. I also made it to my first destination race, the Rock 'n' Roll half in St. Louis, and had the pleasure of running those 13.1 miles alongside Fran, one of my virtual running buddies. I spent most of the year dealing with piriformis issues (literally, a royal pain in the buttocks). 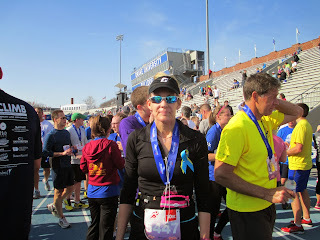 I enduredseveral months of physical therapy in the late winter/early spring. The PT helped, but the nagging pain never has quite left me. 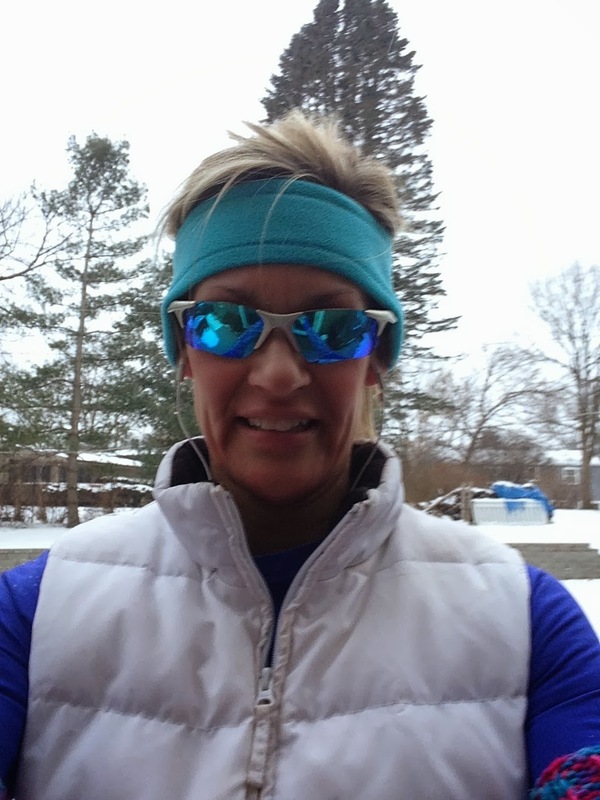 I know it has affected my speed (not that I was super fast to begin with), and it sometimes makes the short runs unbearable and the longer runs don't feel great until after the first 3-4 miles, but I refuse to let it keep me out of my running shoes. Fortunately, it is a treatable "discomfort" as long as I remember to stretch and/or foam roll properly after running. Cross training has been a blessing, or I'd probably be bed-ridden (a small exaggeration). 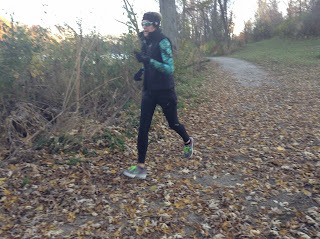 I ran some of my longest training runs ever, which I also think had an impact on my pace slowing somewhat. My body got accustomed to running long, and didn't "need" to go fast...so it didn't LOL. 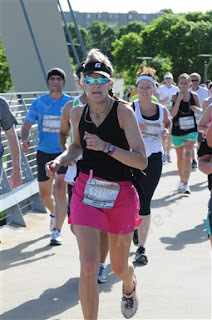 Actually, my pace remained pretty constant, and is pretty decent considering the piriformis discomfort....it's just not as fast as I know it could be under ideal conditions. 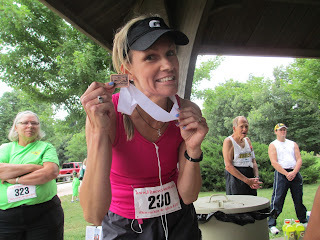 Despite my speed not being as fast as I'd hoped, I did manage a few age group placings...which allowed me to add a grand total of 12 medals to my collection of race hardware. 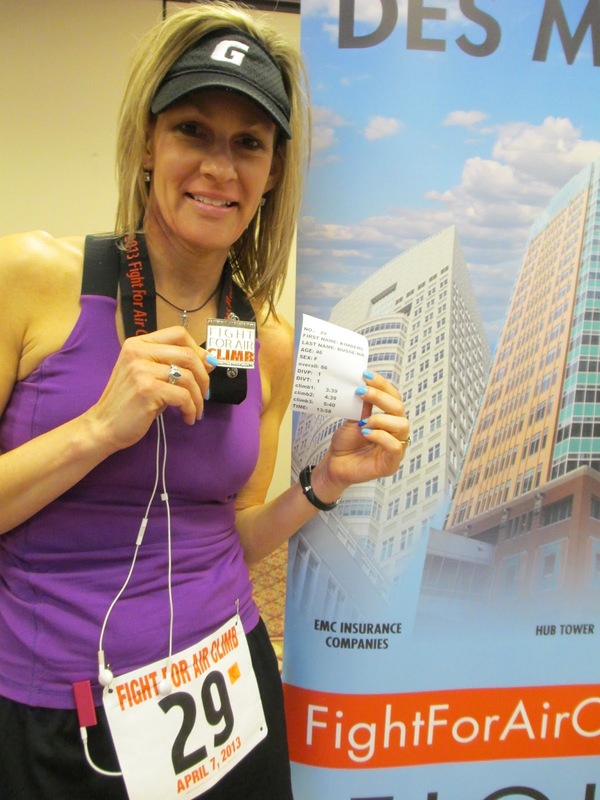 Most of the medals were finisher medals, but there were a token few that were "earned," including my final race of the year (Jingle Jog 4-miler), where I not only placed 3rd in my age group but also ran an approximate 8:30 pace....my fastest pace of the year. 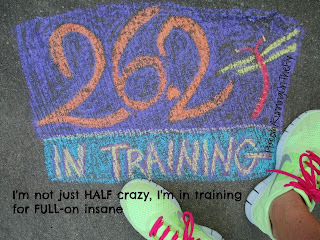 In June, I officially started training for my first 26.2! Finishing 2013 with a medal and a PR! What do you have planned for this new year? 2014, let's do this! Today is my 18th day of streaking! There are 35 days in this streak period, so at the half-mile point of my run this afternoon, I officially crossed the halfway mark. Giddy up! This streak (so far) seems to be going faster than the one I did back in April. I can only hope for that to continue. The biggest difference with this streak is the weather, hands down. It's a tad bit colder in December than it is in April, especially in Iowa. There have been a couple of days when the weather has been "unseasonably" warm (temps in the upper 40's or warmer) and I was able to wear a tech shirt and capri's (I might have even worn shorts...). Most days, though, have been normal December temps for Iowa (in the 20's - 30's), and a few days have been in the single digits with below zero wind chill readings. I have done every streak run outside. Some days the pavement has been dry, some days it's been wet. There has been plenty of snow (on the ground and in the air). And there has been wind. Lots of wind. For the most part, I've been able to maintain my regular running routine (running 3-4 days each week). What would normally be my "non-running" days is when I'm doing the short one-milers to keep the streak running (pun intended). We had a severe cold spell this past week, so I've done the minimum mile runs outside and then done some "bonus" miles on the treadmill later in the evening. Yes, you read that correctly...I climbed onto my treadmill (willingly) and ran some extra miles. 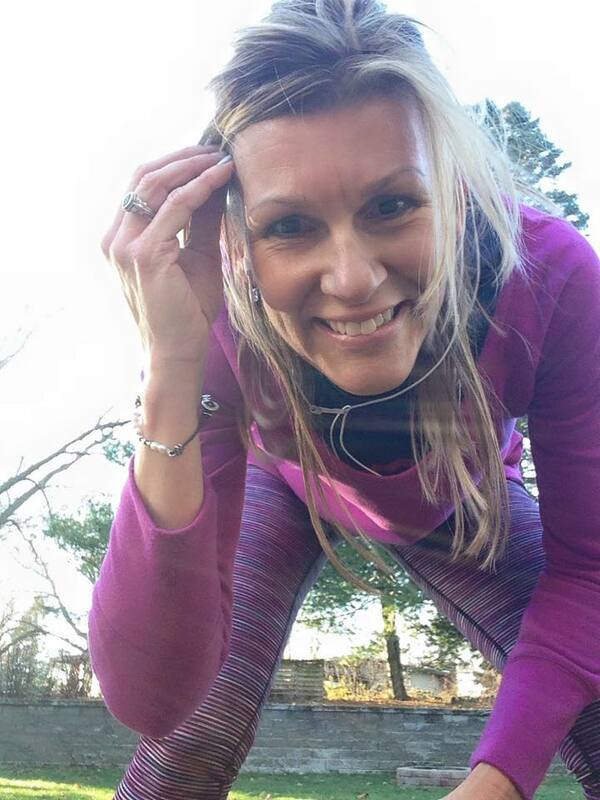 It is a bit of a paradox....on the really cold days when I want to get that one mile done outside, I do spend more time getting dressed (and, subsequently, getting undressed afterwards) than I actually do running. This is what works for me, and it's been going great. My husband has joined me in the streaking challenge, and he's been doing great as well. 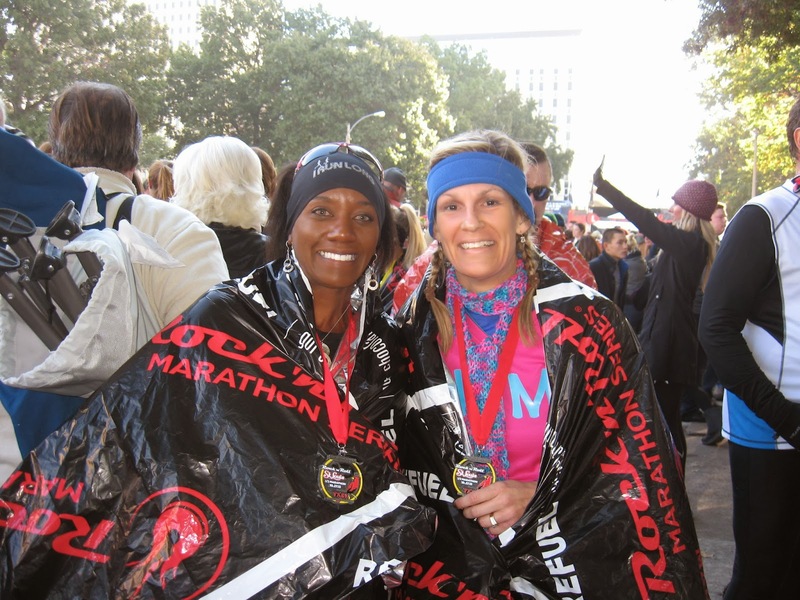 Most days we're able to get that one-miler done together. There have been a few days, though, when he's gotten home late or had a full day of appointments and he's done his runs on his own, some in the morning before work and others in the evening under the streetlights. So, onward! Let's finish this! Have you ever done a running streak? What's the longest you were able to stay with it, and what made you stop (boredom, injury, etc.)? Want to go Streaking with Me? 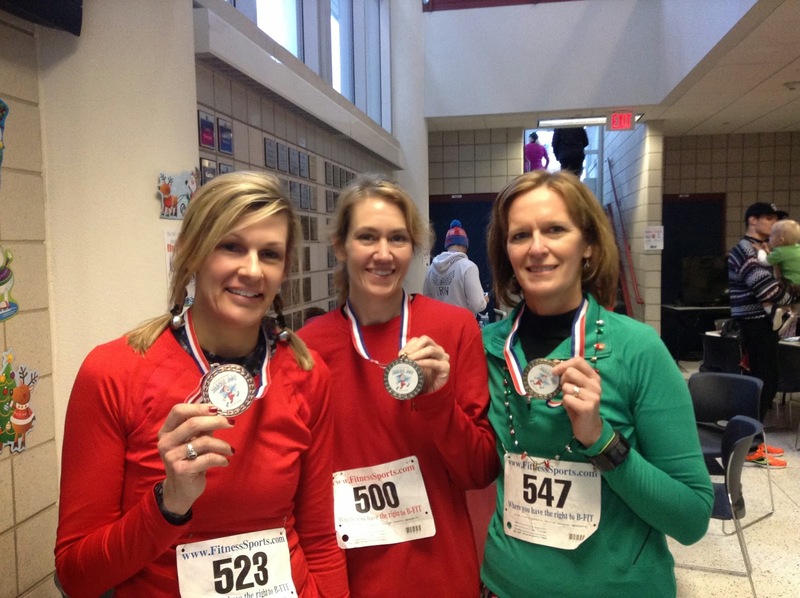 Runner's World magazine is promoting runners to participate in their holiday running streak. They are asking runners to commit to running at least one mile every day from Thanksgiving until New Year's Day. You know, to give us an incentive to stay active during this season which is often filled with over indulgence of food and drink. Streaking. Running everyday. Yikes, that sounds like a lot of running...or is it? Myself, I am not a daily runner. Never have been, probably never will be. But I gave streaking a whirl back in April of this year, and it really wasn't as bad or tedious as I'd anticipated. 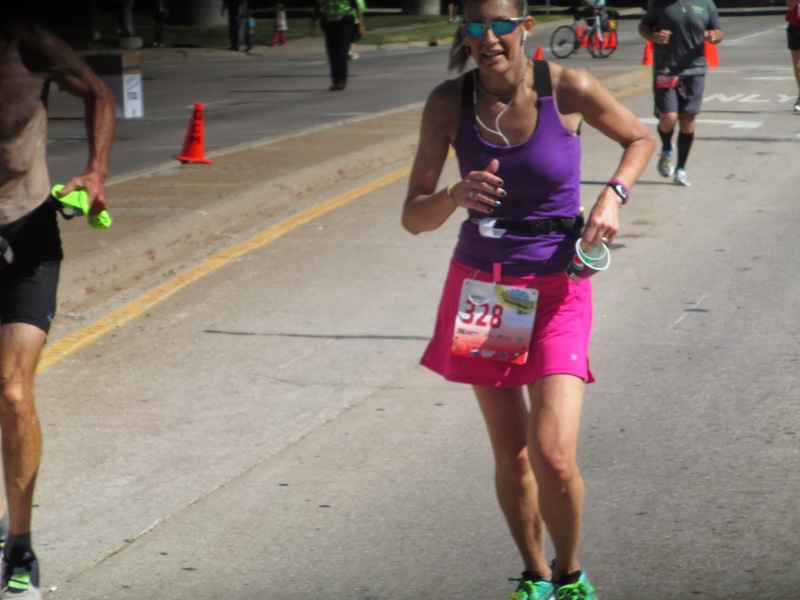 I simply did my usual training/running routine, which is running 3-5 miles a couple times during the week and then doing a long run on the weekend. However, on the "non-running" days when I normally would have been doing some form of cross-training, I added a quick 1-mile run. The first few 1-mile attempts were the most difficult. It took some trial and error to figure out where to run to get the exact mileage. I live a few blocks from a beautiful college campus, and mapped out a route that went around a few blocks on the central campus. I ran the few blocks to this "route" as a warm-up, then ran the 1-mile loop, then ran home. Honestly, it took less than 15 minutes from the time I left my front porch and returned back home. 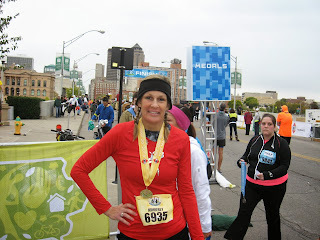 Since it was such a short distance, I ran it outside everyday...rain or shine, cold or warm temps, windy or not. The bonus came when I added up my mileage for April...doing this little extra mile on the "non-running" days gave my total monthly miles a boost of 20 extra miles (some days I ran a little more than the 1-mile minimum). I am challenging my followers on my page, Running On The Fly, to do this challenge with me to finish off 2013 with a bang. It's very much outside of my comfort zone, but I am willing to take on the challenge and here are some tips which may help others to give it a try as well. First thing, find a route that will work for you. Since it's only one mile, consider just running laps around the block where you live. If you don't live in town, find a block in a nearby town, possibly near where you work or by a park. A mile is usually equal to the distance of 10 city blocks, therefore 2.5 laps around an average city block will get you to one mile in distance. I recommend running this in reverse on alternate days or you may tire of it. Also, most streets aren't level so alternating the direction of your run will give your body a break form always running on the same plane. If you can't remember which direction you ran on the previous run, do as I do....if it's an odd number day on the calender, I turn right as I head out of my driveway (the word "right" has an odd number of letters in it), and I go left on the even numbered days (you guessed it! "left" has an even number of letters). Most runners have access to a Garmin or mileage counter, but you can also use the trustworthy odometer in your car to map out a mile. If you're not a fan of running in circles around a block, run the equivalent of half a mile then turn and run back. Or walk a few blocks to warm up, then do the half mile, turn, run back and walk the last few blocks to cool down. Make this 1-mile run a game (speed work in disguise). 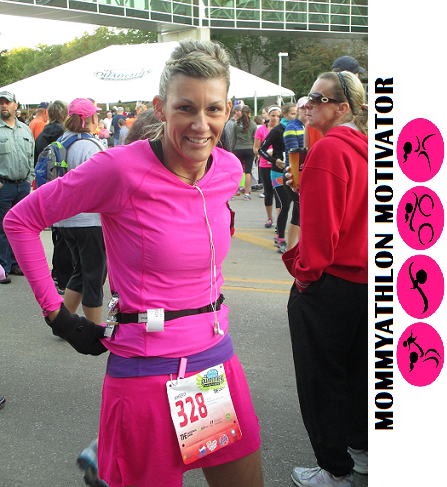 Time yourself each time you run it (if you're doing the same route repeatedly) and try to run it faster each time. You will most likely see a difference in your speed after the first week. Since it's only a short mile, it shouldn't take you more than 10-20 minutes to run it. Set your alarm a few minutes early and do it before work. Maybe consider doing it on your lunch break. Or do it while you're waiting for dinner to bake in the oven. If you have a treadmill, or access to one, you have an advantage (if you enjoy using it). 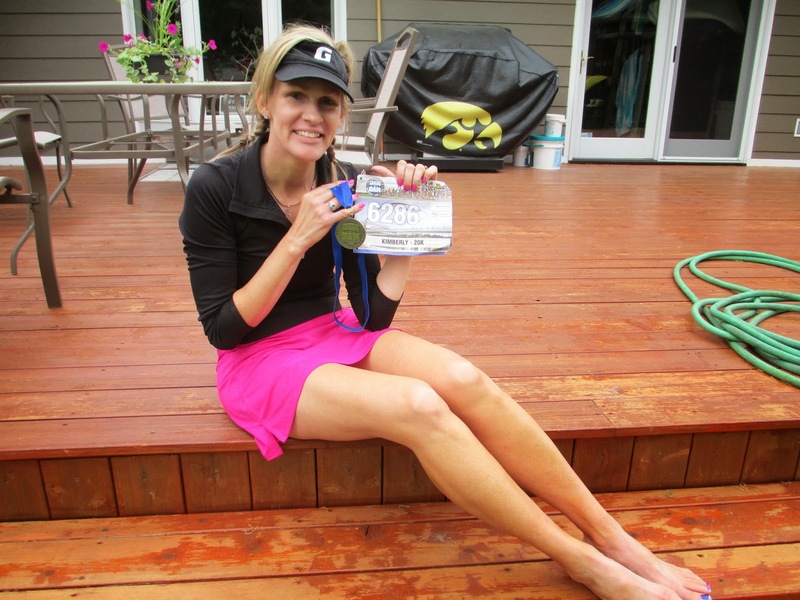 If you have never streaked before, or if you're a relatively new runner, use caution. I highly recommend not going farther than the 1-mile minimum or you may risk getting injured. Also, if at any point during the challenge you feel any kind of pain...there is no shame walking, or taking a day off. Pain and discomfort are two different things, you don't need to be a hero. So, I invite YOU to go streaking with me! 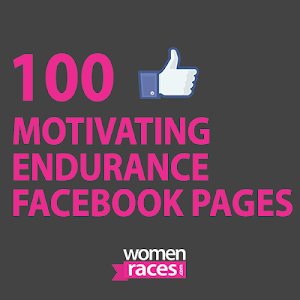 It's only a mile each day, and it's only for the remainder of 2013. C'mon, give it a try!